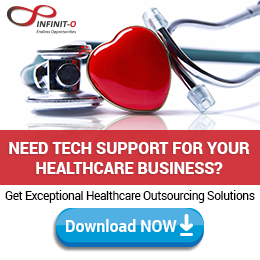 When medical professionals have the choice between having an in-house billing staff or hiring an outsourcing company to handle their payment processing, many small or private medical practices can benefit from external healthcare services. Outsourced workers are not only capable of adequately handling the daily operations like medical billing, but they are also trained in the most complex billing and insurance regulations. 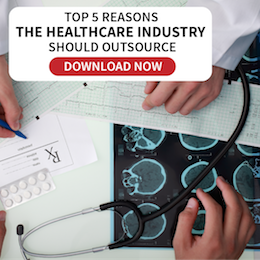 Here are reasons to take advantage of medical financial solutions provided by healthcare outsourcing companies, according to MedCity News. The cost associated with hosting billing operations in-house is often higher than many doctors and other medical professionals realize due to overhead expenses. In addition to labor costs, having in-house staff means facing rental and utilities payments for the workspace, as well as office supplies expenses. Hiring an outsourcing company costs less than conducting billings and collection within a leased office. Paying the staff of an in-house billing team can be a burden when running a medical practice, particularly if it is a small or private one. In addition to saving money on overhead costs, hiring an outside medical billing team can free up time that can be spent on patient care. Instead of worrying about paying for in-house billing work and whether it can get done in time and accurately, doctors can focus on providing their patients with the best care possible and growing their practice. Medical professionals face changes in billing and insurance regulations regularly, making it difficult to concentrate on growing their practice and attending to patients. Outsourced medical billing workers are experienced in both billing and coding procedures, such as A/R services and procedural and diagnostic coding, relieving some of the stress felt daily by doctors and other workers. Outsourced companies are also known for medical data security, which can protect them from government interference. Outsourced workers are trained with specific structures of financial and billing workflows so clients know what to expect. Because they are trained to interact with insurance companies and other billing professionals, they have established relationships with them for better productivity. With outsourced professionals’ help and expertise, practices can see an improved ability to collect payments while ensuring reimbursements. 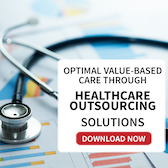 By keeping in mind cutting costs and increasing patient care, small and private practices should take advantage of medical outsourcing and hire expert billing and coding professionals to help make their business successful. Thanks for sharing ..you have covered almost key points for outsourcing medical billing there are lot of advantages for medical billing like cash flow and increased profit even in the reduction of overall cash flow even error free data entry will be there.. Thanks for posting such a great post on medical billing which includes almost every essential features for running successful business. It’s good to know that you like the post. Thank you for visiting our Blog. Thanks a lot for sharing such a nice information about the outsourcing of medical billing process. The main advantage of medical billing outsource is the serious amount of time will be retrieved. Outsourcing the billing task will allow the medical employees to concentrate on patient’s caring. You’re welcome. It’s good that you liked the article. We agree as well that there’s a huge amount of time that will be retrieved if healthcare companies decide to outsource their medical billing. And of course, they can focus more on their business’ ultimate goal. I hope you check out the other healthcare articles that we have as you might like them as well. Thanks for sharing i am agree with all of your points. Medical billing rates against which any medical billing company provides billing services is very affordable. Outsourcing medical billing not only saves money but makes a most sense if you are starting a new company. Surely it will help in decoding the facets of medical billing for the readers. Nice!